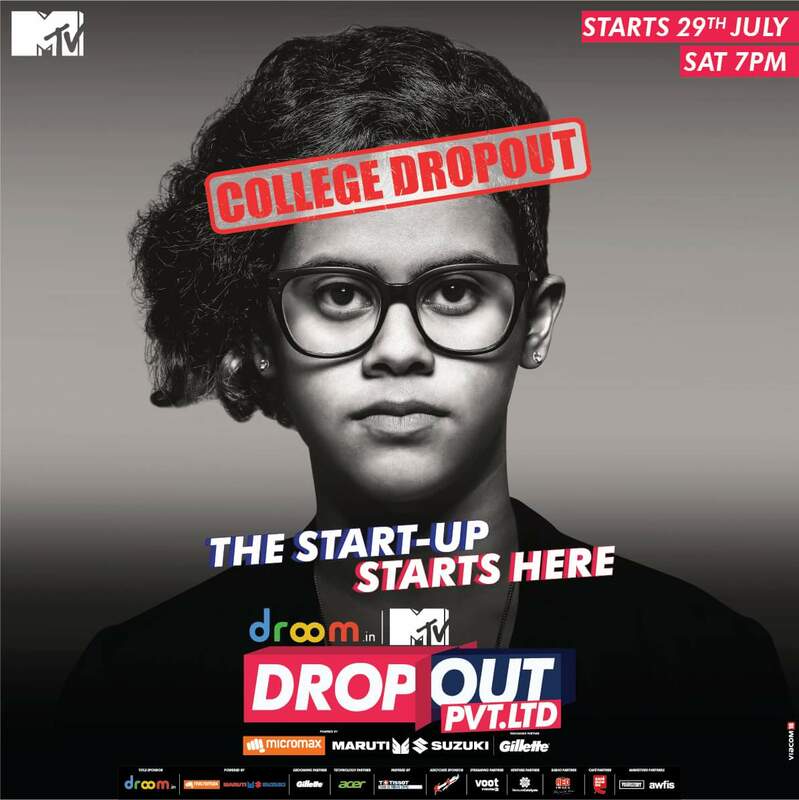 MTV is all set to make young entrepreneurial dreams come true with the launch of a unique reality show ‘Droom.in presents MTV Dropout Pvt. Ltd’. Powered by Micromax and Maruti Suzuki, the show will see the birth of the world’s first ever start-up formed on television. The Grooming partner is Gillette. Created by Monozygotic and co-developed by MTV and Monozygotic, the show will premiere on 29 July at 7 pm only on MTV and next day onwards on VOOT. It is a show that will take viewers through the process of identifying and transforming ‘dropouts’ into the ideal start-up team and kick-starting their entrepreneurial journey. It is the birth of a first-of-its’-kind start-up company which is formed following a massive nationwide hunt to find hidden gems; the most brilliant people outside the established management and entrepreneurial system. These mavericks will then be groomed by industry leaders through trials-by-fire where they will have to solve real-world business problems in a short span of time. The panel will include expert businessmen like Sandeep Aggarwal, CEO & Founder of Droom.in; Anisha Singh, CEO & Co-founder Mydala.com; Alok Kejriwal, CEO & Co-founder of Games2Win along with the show’s hosts and creators Raghu Ram & Rajiv Laxman, Co-founders of Monozygotic. They will identify and transform ‘dropouts’ into the dream start-up team to kick-start their entrepreneurial journey.